Boats available for rent at Poplars Resort. We want your fishing experience with us to be great, so we provide a wide selection of boat rentals for all levels of comfort and ability. Each boat is equipped with an approved floatation device for each fisher, as well as all required safety equipment. For children and non-swimmers we recommend that you provide your own life-saving vests as approved by the Canadian Coastguard. Each boat has an anchor for fishing in shallow waters. Many of our boats are equipped with a live well, trolling motor and fish finder. Dockage and power is available for your boat at Poplars at no extra charge. You may also wish to trailer your own boat to Poplars. We will be glad to help you at the nearby free launching ramp. Our pontoons feature four corner swivel seats, a captain's chair, rod storage, live well, fish finder, lights, trolling motor, can fish four people comfortably, and a 25hp four-stroke, electric start outboard motor. 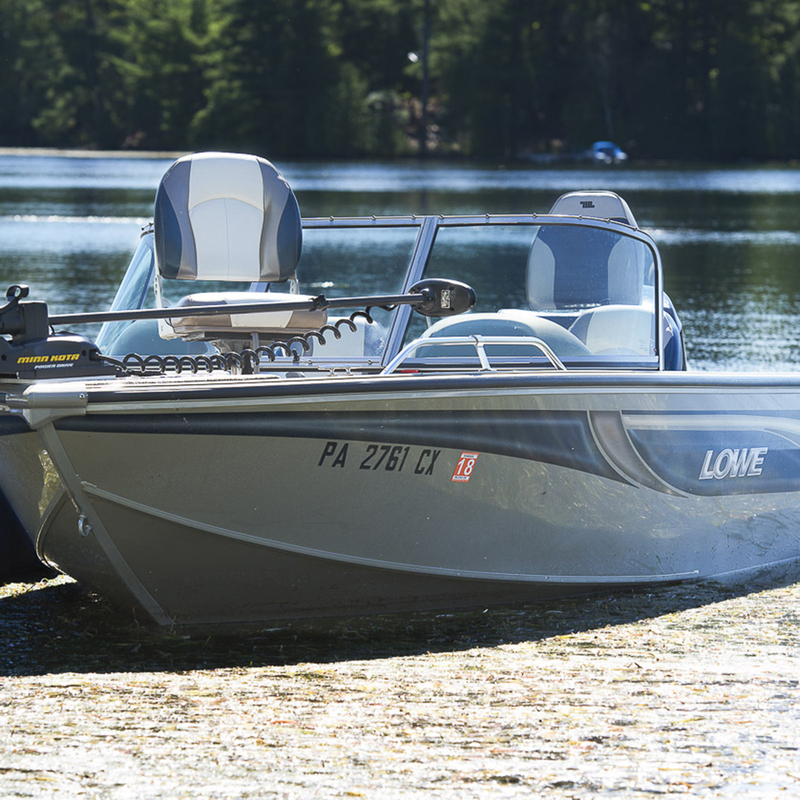 This comfortable deep-v Lowe boat features a casting deck, walkthrough windshield, high/low seats, live well, fish finder, lights, trolling motor, can fish three people comfortably, and a 60hp four-stroke, electric start outboard motor. This sporty and quick G3 Eagle 165 aluminum bass boat features a floor, live well, fish finder, lights, new trolling motor, can fish two people comfortably, tilt and trim, and a 50hp Yamaha electric start outboard motor. 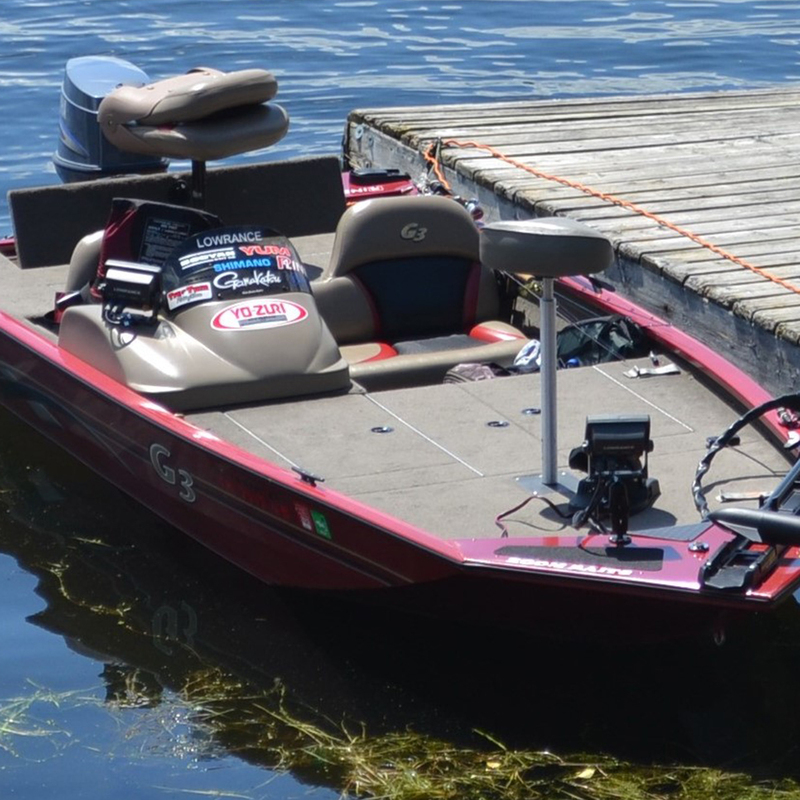 Our 16’ deluxe bass boats feature a floor, live well, fish finder, lights, trolling motor, can fish two people comfortably, and a 40hp electric start outboard motor. Our 16’ deluxe boats feature a floor, live well, fish finder, lights, trolling motor, can fish two people comfortably, and a 25hp electric start outboard motor. Our tiller version can fish three people comfortably. These basic boats have two swivel seats, can fish two people comfortably, and a 15hp outboard motor. Be trendy and try kayaking with your fishing rod, while staying at Poplars. Let the kayak take you to all the quiet back bays, inlets, and pads, where motors would normally restrict your access. A whole new world of fishing possibilities will open up to you in your quest to find the best spot on Newboro Lake. Excellent fishing is available within a short paddle of the resort. However, included with your rental, Poplars will tow you and your kayak to another spot on Newboro Lake to allow you to drift/paddle back to Poplars at your own pace. We have two kayaks, and a canoe available for rent. Pictured is our 13' "Big Rig" from Jackson Kayaks. The extra width of the Big Rig allows you to easily stand and manoeuvre around the kayak while paddling around or fishing. It features six rod holders, retractable casting brace, paddle holder, adjustable foot pegs, full-length rod protection, two-level comfort seat with inflatable lumbar support, plenty of storage for tackle and safety equipment, and a 450lb capacity. Our second kayak is a 12' Commander 120 from Wilderness Systems. 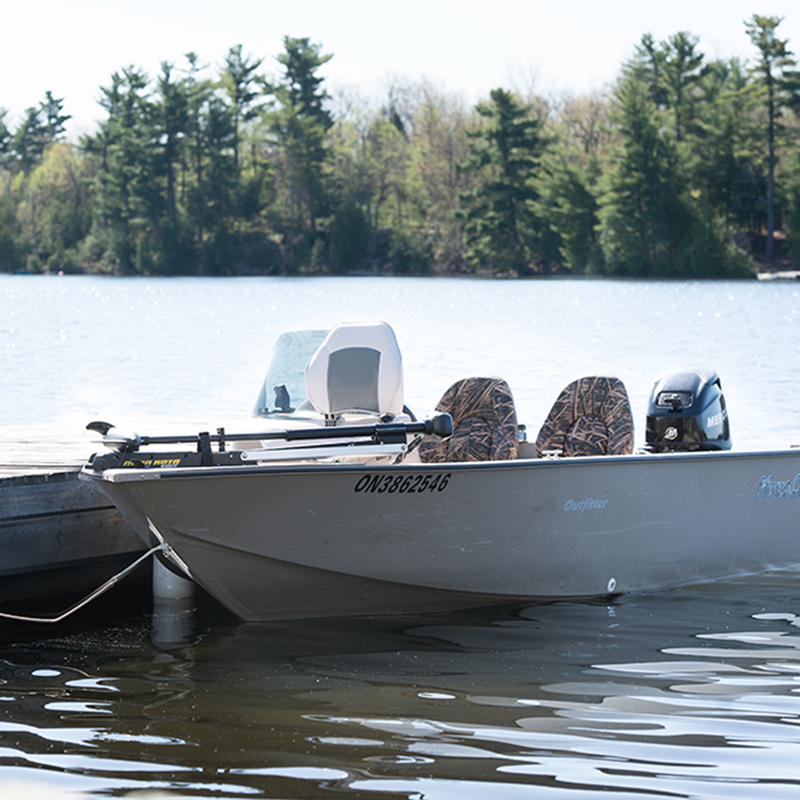 It features five rod holders, rudder with foot controls, sit-on-top or sit-inside design, anchor, stable, comfortable all-day seat with elevated seating area, lightweight and easy to paddle, plenty of storage for tackle and safety equipment, and a 250lb capacity.